Did you know most coffee beans are packed in burlap bags, a woven fabric made from the jute plant? Coffee shops often throw empty bags “away,” even though the woven fabric is soft and durable. Enter Rescue Recycle Reuse (also known as R3), the nonprofit organization rescues coffee sacks from local coffee roasters and shops in Los Angeles, CA, and upcycles them into reusable bags that are 100 percent compostable. Watch how they do it in the video below. R3 has created small, medium, and large bags meant for everything from grocery store shopping to beach cleanups. The bags are fully compostable and even the scraps can be reused in the garden to cut down on water usage. R3 Founder Suzanne Titus sees their reusable bags as a beautiful plastic pollution solution. R3 has made over 3,500 bags since 2012 and has sold them to gift shops, grocery stores, and college book stores. New in 2019, the bags are now available online. Titus is thrilled with the success of the bags, and says she will continue to rescue coffee sacks, create bags, and donate profits to environmental organizations, fulfilling the R3 mission. A limited edition R3 bag is now available as a fundraiser for Plastic Pollution Coalition, while supplies last. 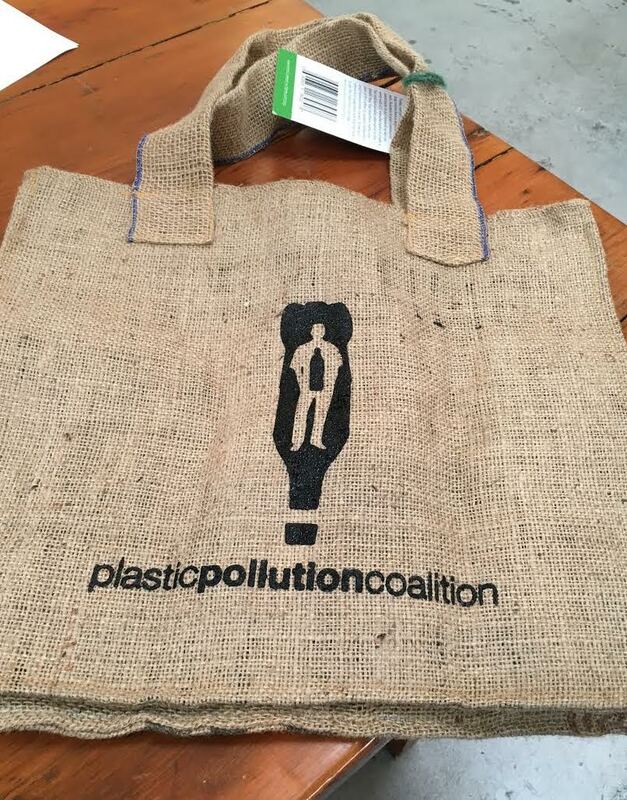 The compostable R3 bag to benefit Plastic Pollution Coalition. Newer PostCan our recycling problem be solved by using plastic for roads?